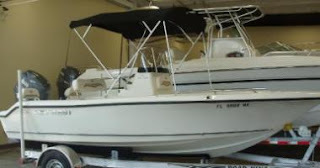 I recently purchased a 2010 186 cc key west and have since been taking it out fishing, joy riding, and to hang out with other boaters. I have fell in love with the water and the atmosphere. When I am not on the water I think about getting on the water and when is the next day I can get on the water even if its only for a couple hours. My boat is my pride and joy.